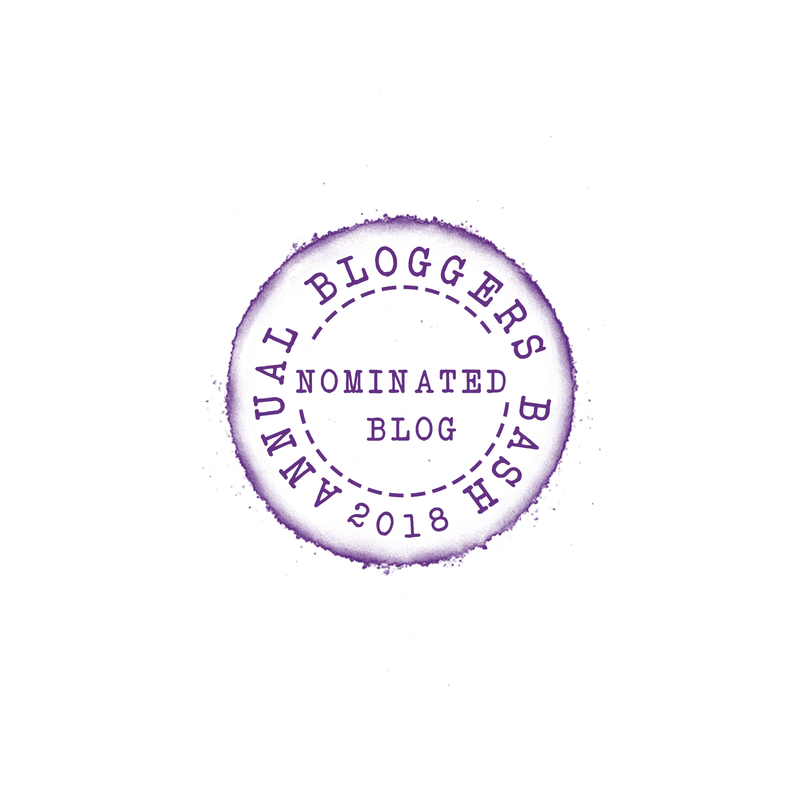 Pirate picture books have long been popular with young children and as a child I regularly borrowed the Captain Pugwash books from the library as well as watching him on television. Cartoonist John Ryan, who created the Captain Pugwash stories, died in 2009 but several of his Captain Pugwash books have been reprinted by Quarto. 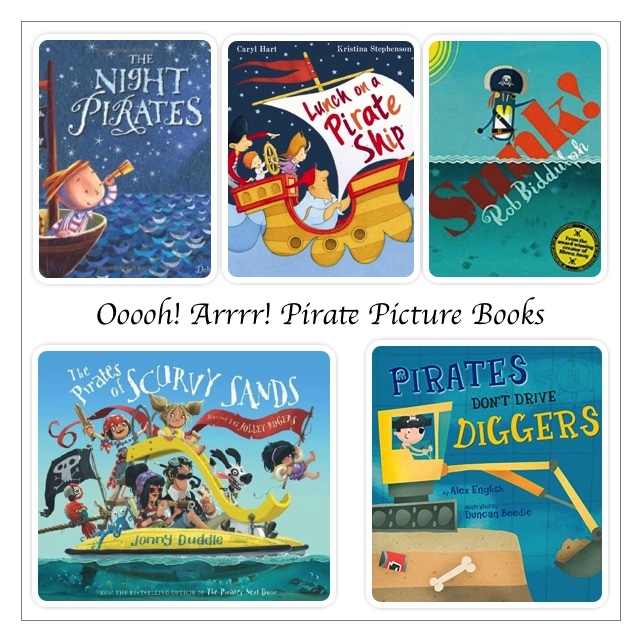 The picture book market is awash with pirate picture books. 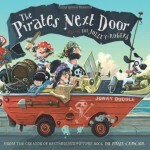 Jonny Duddle’s, The Pirates Next Door, was one of the first picture books that I bought my daughter and also one of the first books that we featured on Story Snug. More pirates have joined our bookshelves since then but Jonny’s Jolley-Rogers remain firm favourites. My daughter chose it for her bedtime story last night and it was a very different reading experience to that which we had when she was younger. There was lots of discussion about the language and the vocabulary and we pored over the little details in the pictures. Jonny’s books are definitely proof that picture books can be enjoyed by all ages. 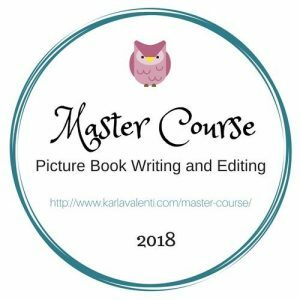 The Night Pirates by Peter Harris and Deborah Allwright: Tom sails with a crew of girl pirates to an island where they surprise Captain Patch and his pirate crew. 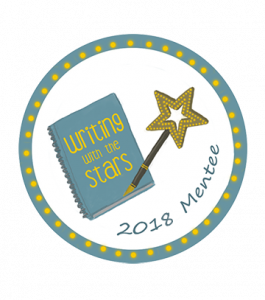 This swashbuckling adventure overturns traditionally stereotypical pirate roles and celebrates girl power! Sunk! by Rob Biddulph: Penguin Blue and his friends set sail on a pirate adventure across the seven seas. But when an accident causes their ‘ship’ to sink, they discover that treasure isn’t always gold and jewels. Rob’s easy to read, rhyming text, combined with his amusing illustrations, sets a fast, swashbuckling pace for Penguin Blue’s adventure. Lunch on a Pirate Ship by Caryl Hart and Kristina Stephenson: Jack doesn’t want to eat the baked beans and chips that Mum has cooked for his lunch so he boards a pirate ship. But is lunch on board any better? This fun rhyming story shows the power of a child’s imagination and is a great story for fussy eaters! 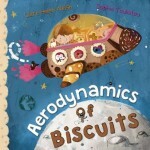 Aerodynamics of Biscuits by Clare Helen Welsh and Sophia Touliatou: Oliver flies to the moon with the pirate mice who have stolen his biscuits but when they find themselves stranded they need to find a way of getting back again. Pirate mice flying to the moon is such an original idea and the title fits the adventure perfectly! Today is #InternationalTalkLikeAPirateDay and we would love to know what you’ll be reading to celebrate. 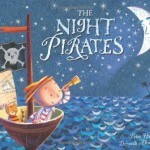 Do you have any favourite pirate picture books to add to our list? Yes, Pirates Love Underpants is great too – we love all of the ‘Underpants’ books. Maybe she’ll enjoy Jonny Duddle’s books when she’s older. Matilda and Jim Lad’s adventures are great fun and Jonny’s illustrations are full of fabulous details. These books look great, I think I read ‘The Pirates Next Door’ with my daughter years ago and she really enjoyed it! 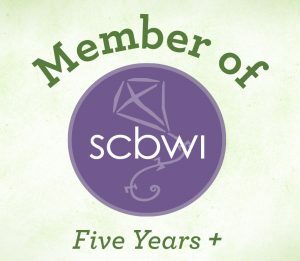 My toddler loves pirates so I think I’ll be looking out for the other books you mention too. He really likes ‘Pirates in Classroom 3’ from Maverick Children’s Books. It’s just a shame my pirate voice is a bit dodgy! 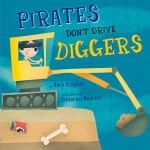 The Pirates Next Door and Pirates Don’t Drive Diggers are told in rhyme and are really great for practising pirate voices – my pirate voice isn’t great either!! There are so many we could have chosen. I haven’t heard of Pirates Don’t Play Cricket, I’ll check it out. We love Meg and Mog but haven’t read a pirate book including Meg and Mog. What’s it called?